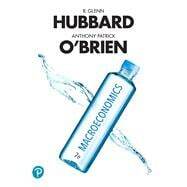 For courses in the principles of macroeconomics. The authors of Macroeconomics help foster interest in the discipline’s concepts, and make the key principles of this topic relevant to students’ lives by demonstrating how real businesses use macroeconomics to make decisions every day. With ever-changing US and world economies, the 7th Edition has been updated with the latest developments using new real-world business and policy examples. Regardless of their future career path -- opening an art studio, trading on Wall Street, or bartending at the local pub, students will benefit from understanding the macroeconomic forces behind their work.